The colour of purple is … not orange but mauve? My previous post on the topic of mauveine left the outcome dangling. Put simply, λmax is measured at about 549nm for mauveine A, but was calculated at about 440nm using a modern method for predicting colour (TD-DFT). 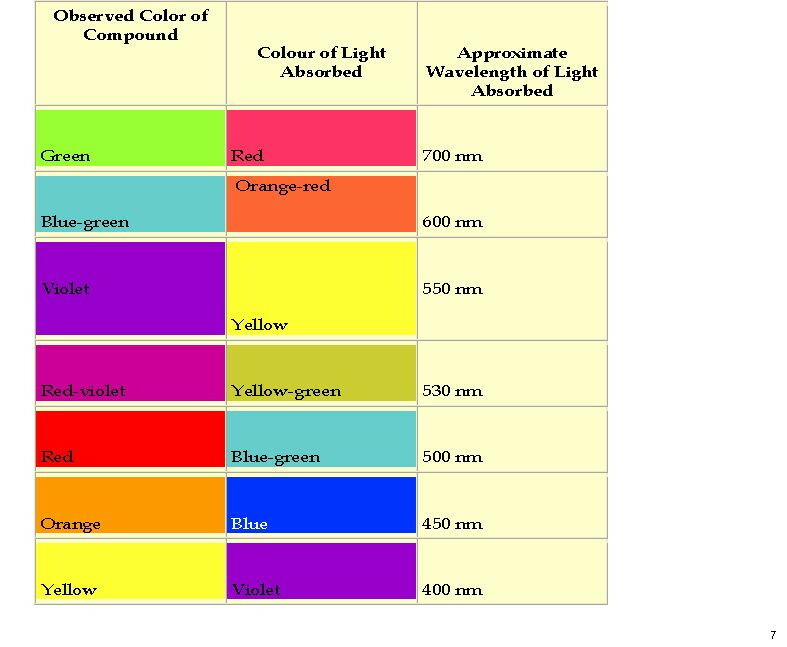 According to the colour table below, that would make it orange, not mauve. Can the theoretical prediction be out by 110nm, or might it be the structure of the molecule itself that has been wrongly described? The colour of purple is … not orange but mauve? is licensed by Henry Rzepa under a Creative Commons Attribution-Noncommercial-Share Alike 3.0 United States License.